white folks, generally speaking, are infatuated with themselves and expect people of color to be as well. the truth of this infatuation is why, among many many other things, the #Oscars(are indeed)SoWhite but they will still have a substantial audience; #BlackLivesMatter disruptions of business as usual continue to take liberals by surprise and produce anger in many; steve phillips’ timely and seminal work on The New American Majority (Brown Is the New White) is largely being ignored by mainstream media, the DNC and by most “progressive” candidates in the country; and to be “for racial justice,” even as a person of faith, is still a thing. it is also the reason why nielsen ratings have always under-represented people of color and Michel Martin and Joy Reid’s news shows (npr and msnbc, respectively) and now Melissa Harris Perry’s news analysis (not just talk) show–each THE BEST SUCH SHOWS ON THE AIR–are considered expendable, although they were the only shows of their kind on their networks. they won’t even notice the audible click as tens of millions of us change the channel. unexpectedly, the best coverage has come through cnn from an article written by brian stelter, in which he actually contextualizes the situation, harris-perry’s show and the popular quotes being repeated with little context from the extremely thoughtful and well crafted explanation harris-perry sent to her staff regarding her continued absence. in his article, stelter reminds us of the time when “Harris-Perry herself [seemingly] telegraphed this moment during a discussion at The New School in 2013.
this right here is the truest reason why i refuse to go on staff anywhere right now. 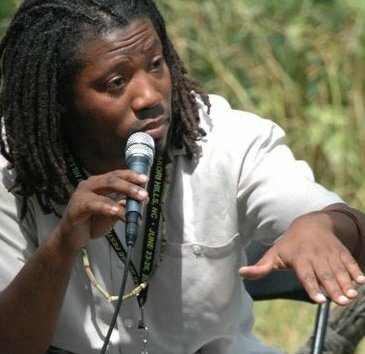 like our jewish brothers and sisters have done, black people and other victims of racial holocausts, colonization and systemic racism need to build up the economic and political infrastructure of our own communities, even as we of necessity continue to engage the institutions of the dominant culture. we need #BETTER than to serve at the whim of powerful white people. before you read any of the coverage on the quiet attempt to make MHP disappear, and particularly if you have already, READ THE FULL LETTER melissa harris-perry wrote her #nerdland staff (below).